Are you ready for a full dose of female empowerment? ‘Coz that’s exactly what this edition of Feminist Friday, our weekly series where we share our favorite videos of the moment, contains! While we are still in the middle of Women’s History Month, this week on March 8 we also recognized International Women’s Day, so it only makes sense to celebrate the badassery of women for Feminist Friday. First up is a video made by the film industry journalist Melissa Silverstein and her Women and Hollywood team. In light of the attention surrounding awards season, especially leading up to the Oscars where movements such as #AskHerMore and #OscarsSoWhite have brought attention to the lack of diversity in recent years, the W&H team want to make sure the issue of gender disparity doesn’t just fall by the wayside now that the Academy has promised to diversify its membership, and that ‘Moonlight’ beat out ‘La La Land’ in Best Picture category. They gathered a group of industry women who work both in front of and behind the lens talking about the barriers women often face, and performed a remix of the ‘Immigrants (We Get The Job Done)’ track from the musical ‘Hamilton’ (entirely appropriate in our current political and social times). Next up is a lyric video from a band called The Mrs., who we have featured previously on GirlTalkHQ. Their track ‘Enough’ was an anthem for all the women out there who are sick of being told they need to change or conform to a societal standard to feel like they are worthy. The four-piece based out of Austin, Texas, are back with a new EP which is set to be released in the Spring, and one of the tracks is called ‘Blink of an Eye’. Female empowerment and sisterhood and strong themes throughout all their lyrics and this track is no different. They also want to specifically reach out to other mothers whose lives aren’t necessarily portrayed in a full, complex and celebratory way like other groups of people are. The Mrs drummer and founder Andra Leimandt expressed why this band was an important project for her at a crucial time in her life. “I began writing songs to connect with women like me — mothers who strive for a full life and want to have it all: personal relationships, careers, marriages and friendships. We want to experience a multitude of life experiences that aren’t often portrayed on mainstream radio. Soon, my personal project turned into a movement when I formed The Mrs, to help women see themselves in a more positive light and change the negative self-talk that happens when they look in the mirror,” she said in a press statement. Since we like to celebrate the work of women globally on our platform, our final video comes from a team of musicians down under. 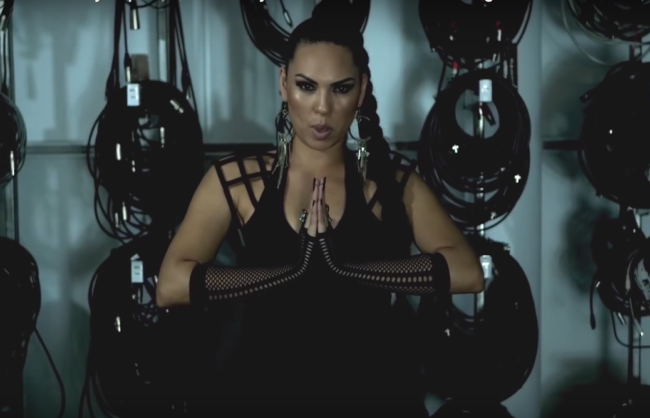 ‘No More Silhouettes’ is a music video produced and written by Polynesian-Australian singer-songwriter and mother of 3 Caprice. She teamed up with rapper Kaylah Truth and Elena Maria Wangurra for a track that is a metaphorical call-to-arms for women everywhere to unite and let their light shine. Caprice also wanted to do her part to raise awareness about the challenges facing women in the music industry, which we have touched on before here at GTHQ. She believes it is up to people like her, artists who have a voice and platform, to be the change and empower other women to know their presence matters especially in the fight against gender inequality. If there is song we had to point to as our anthem for Women’s History Month in 2017, perfectly articulating our passion to see women rise up against hatred, division, fear, sexism and discrimination, it is definitely ‘No More Silhouettes’. The title itself is a powerful reminder that women no longer belong in the dark, or in the shadows. It is our time to shine and reclaim our equal and rightful place in society. Please help me to meet other women in animation. I would like to find more Hollywood sisters, this grandma needs to know what to do next. Blessed be on your works!